ETP-EXPRESS type R is ETP-EXPRESS made of stainless steel. The screw is also stainless. ETP-EXPRESS type R works in the same way as ETP-EXPRESS. 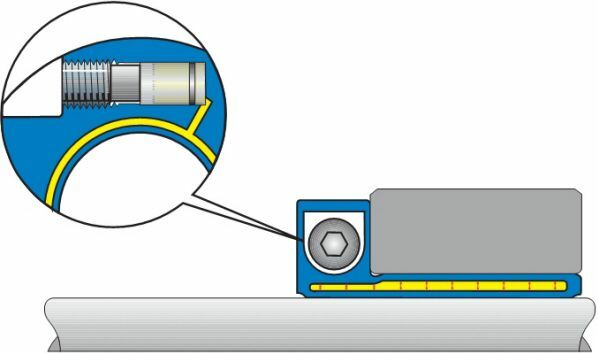 ETP-EXPRESS type R has the same good qualities when it comes to fast and frequent mounting with only ONE screw in the radial direction, small built-in dimensions etc. as ETP-EXPRESS. 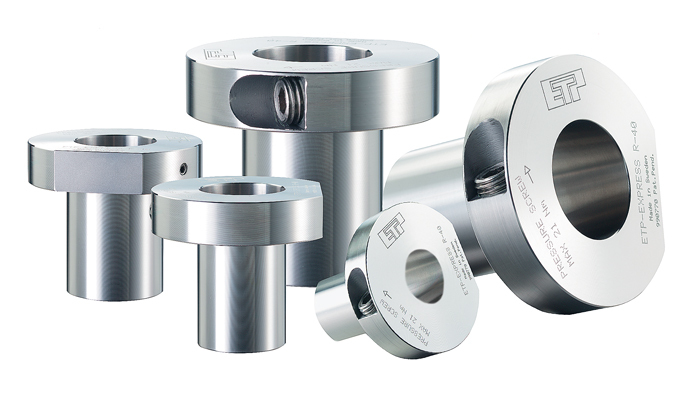 All parts of ETP-EXPRESS R exposed to the environment are made of stainless steel. Easy to clean. In food processing this meets essential requirements. 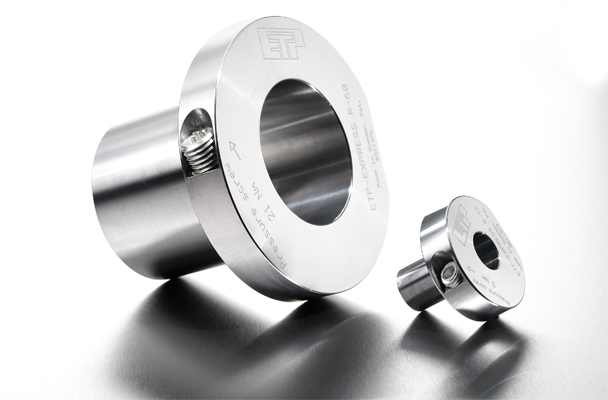 ETP-EXPRESS R has only one screw for pressurising, it is therefore suitable when there is a need for the repositioning of the hub fast and accurate. Made from stainless steel!